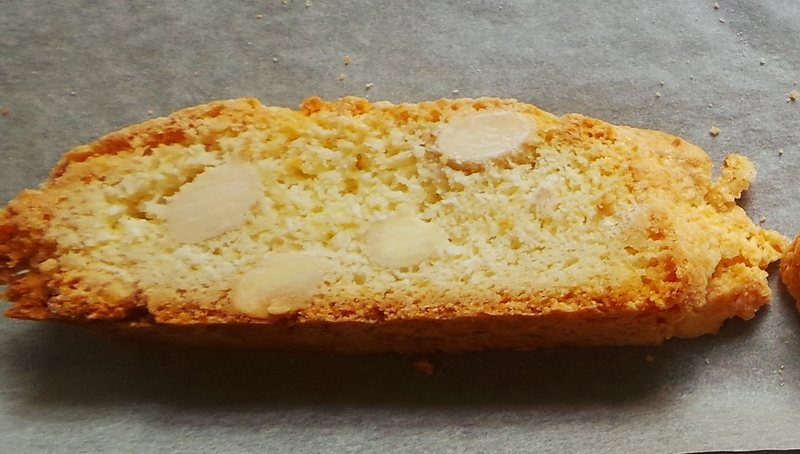 It has been pointed out to me ever so gently, that I haven’t yet finished my series on biscotti (I got sick and then preserving took precedence…) so here we go. This is a very simple recipe that packs a big punch in both visual impact and taste terms. 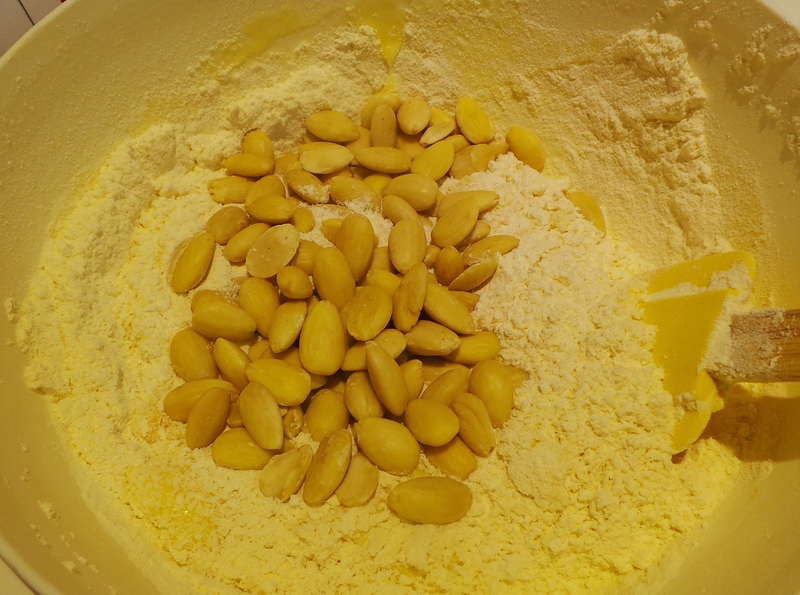 The only downside to it is that it can be quite pricey due to its use of whole, blanched almonds. So, feel free to use slivered or flaked almonds if they are more within your price range. The flavour will be the same, it just will look a little different and have a slightly less “robust” texture. This is an extremely unfussy recipe. It’s so easy that, if you blink, you’ll miss it. So pay attention. Turn your oven on to preheat to 180°C/ 350°F. 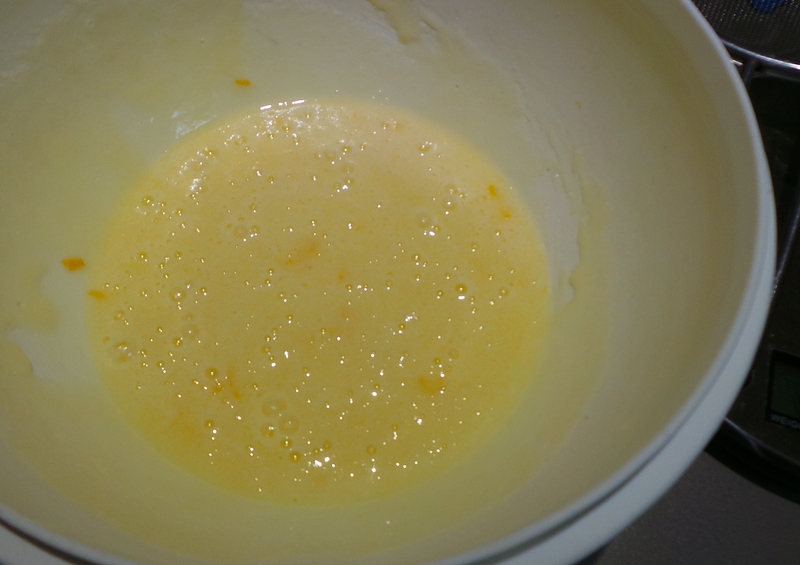 In a medium-sized bowl mix together your caster sugar, eggs and some finely grated orange rind (zest). You can do this by hand with a wire balloon whisk or use an electric mixer if you have one. It will look like this after mixing. However, the dough is about to get heavy. 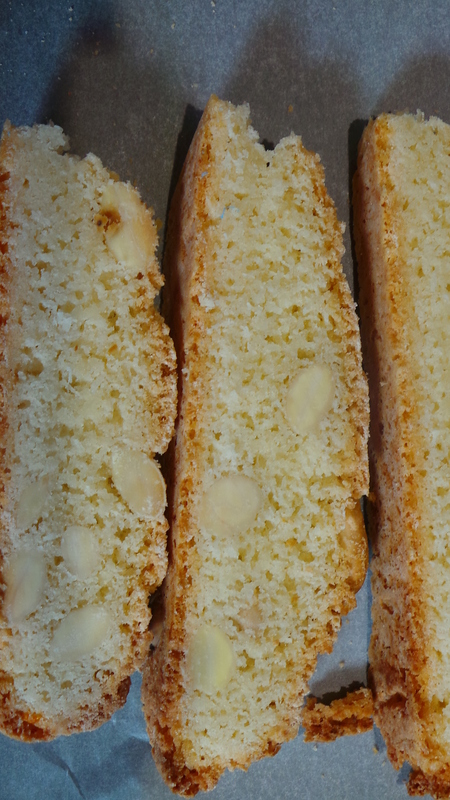 So, using a wooden spoon or spatula, mix in your flours, desiccated (shredded) coconut and almonds. Add your dry ingredients all at once. That’s it. Hard, wasn’t it? Line a baking tray with paper and divide your dough into two portions. 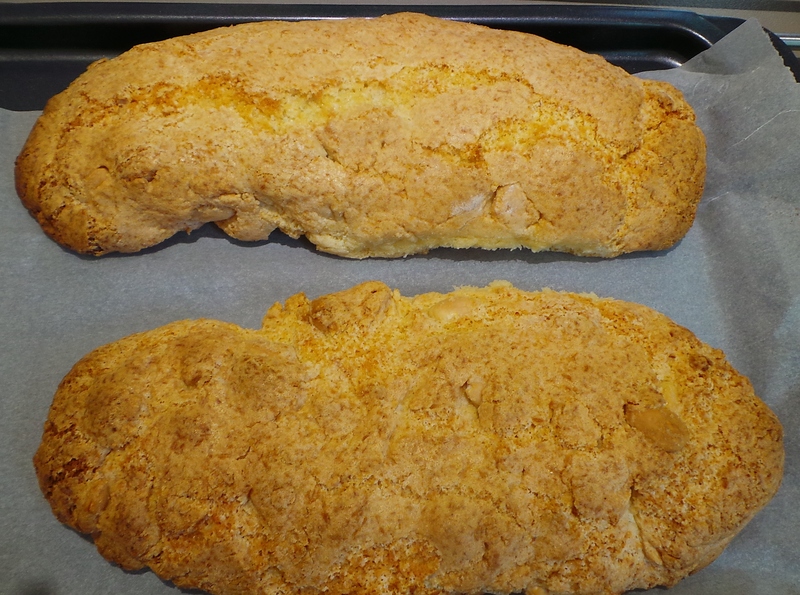 With floured hands, roll each portion into a 20cm log and place on the tray. Be aware that they will spread a little, so don’t place them smack bang next to each other! Also, don’t stress over the shape, just do the best you can. The dough is not soft and quite easy to handle. Now pop them in the oven for 35 minutes, or until slightly browned. Wash up your measuring and mixing things while this is going on and then hunt out: a trivet, another baking tray, a cutting board and serrated knife – make sure it’s a serrated knife, or it will all end in tears – and a cooling rack. When it looks like this, take it out of the oven and set aside for 15 minutes or so to cool a little. You won’t want to cut them fresh from the oven or they will crumble under your knife (see above warning about tears). Turn your oven down to 160°C/325°F. Most of the cooking is done, from now on you’ll just be trying to dry them out. When the logs are cool to the touch, using the aforementioned serrated knife, cut them into 1cm or ¼ inch thick slices. Traditionally this is done slightly on the diagonal, but you don’t have to do it this way. Cut your logs into slices. Place the slices flat onto a lined baking tray and pop them back into the oven for 10 mins, then take them out, turn them over and put them back in for another 10 mins. Bake for a second time. If you would like them slightly darker, then bake them longer. Be prepared for your kitchen to smell like paradise. Allow them to cool on the trays. 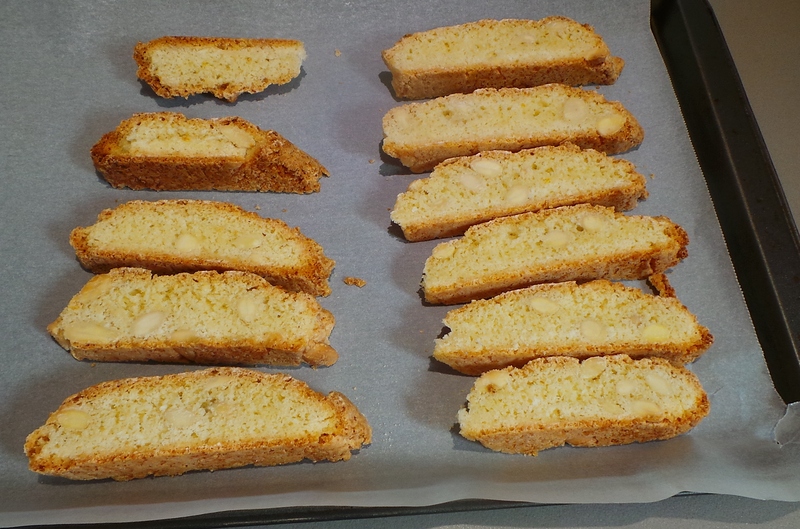 Basically by the time the second batch is at the halfway point, the biscotti on the first tray should be cool enough to move to a rack. This will free up your tray for any left over slices. Serve dunked into something hot: coffee, tea, hot chocolate. Preheat oven to moderate. 180°C/ 350°F. 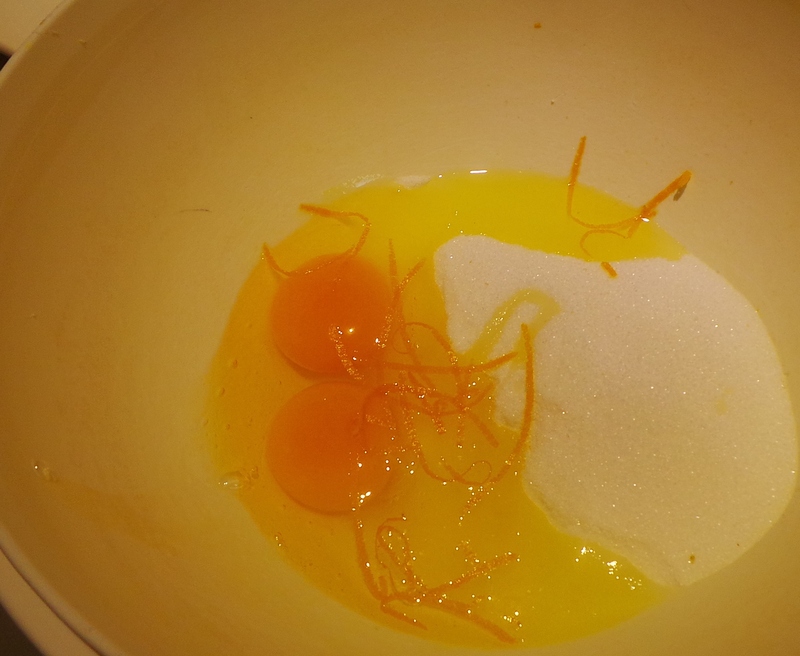 In a medium bowl, beat together sifted caster sugar, orange rind and eggs. 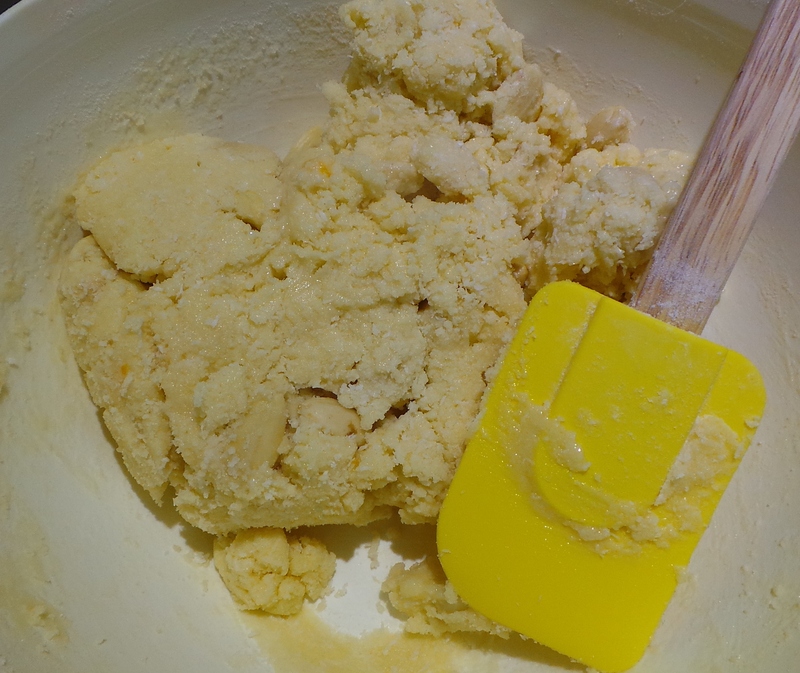 Add sifted flours, coconut and nuts and stir with a spatula or wooden spoon to form a sticky dough. Divide dough into two portions. 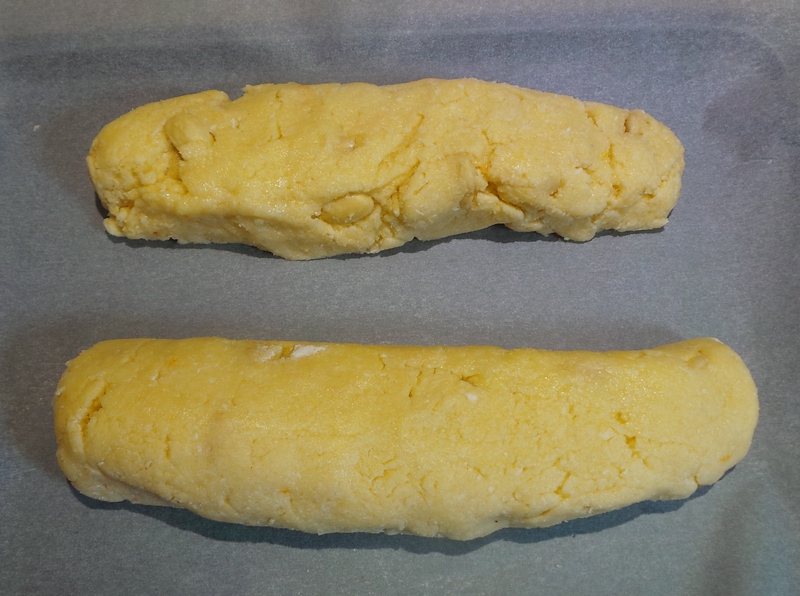 Using floured hands, roll/shape each portion into a 20cm/ 10 inch log and place on a lined oven tray. Bake for around 35 minutes or until slightly browned; cool on the tray for 15 minutes. Reduce the oven heat to moderately slow, 160°C/325°F. Using a serrated (bread)knife, cut the logs into diagonal slices 1 cm/¼ inch thick. Place the slices flat onto lined baking trays and return to the oven for around 25 minutes, or until dry and crisp.